Argentina is one of the jewels in the Latin American Crown. A vast country stretching 3500 km, it is a place that offers some of the most impressive natural wonders anywhere in world. Stretched forth Tropic of Capricorn to the tip of Antarctica, this country covers a varied range of geographic spectrums. Due to the political instability, corruption and economic upheavels, some part of Argentina is still struggling for the fundamental development of its people. As a Volunteer in Argentina, you will be part of the movements working towards the basic development of Argentineans. From sharing your acquired art of sports to using your labor in the community activities or taking care of the kids with care and compassion, volunteering in Argentina offers you the multitudes of opportunities to serve the Argentine people. Two times winner of the FIFA World Cup, Argentina is globally renowned for its football spirit. The legacy of historic footballer Maradona has been passed through the generations and current football megastar Messi has been carrying that legacy of Argentine football. If you acquire the art of this game, you can share it with the boys and girls of Argentina and train them to live their dream of being a great footballer. There are many children in Argentina deprived of the care necessary for the early childhood development. Volunteering in Childcare Center and Orphanages in Argentina is a lifetime opportunity to foster their care and development. As a volunteer for childcare, you will take part in daily activities aimed to nourish the healthy, happy and educative daily life of the kids. You can share your specific talents and ideas to the kids to enhance their knowledge base and understanding of the outer world. Sharing the language and communication skills, sports and games, arts can be a way to create the bonding with the kids while helping to broaden their horizon. This project is designed for the enthusiasts who are willing to address the issues regarding the development of a child and posses the skills to change those issues. In this project, participant will take part in day to day activities focused on development of skills and education of the kids. The project would require teaching, training, playing games, extracurricular activities, art crafts and other activities that can enhance the interpersonal skills of the kids. With the motives of encouraging the participation of people of the community in different development programs, educational awareness campaigns, environmental and sanitation programs, we need the volunteers. As a community development volunteer in Argentina, you can join hands with our team to effectively run such programs and campaigns. English, in today’s world, is the common language worldwide. A country may have its own language; a union may have a common language adopted but English stands as the language for the global communication. The official language of Argentina is Spanish. Everyone in Argentina cannot speak English, and as well, cannot afford to learn it. Thus, if you are a native English speaker or have high English language proficiency, you are eligible to apply for this project. No formal teaching experience or qualification is required to volunteer for English teaching program. But, it is recommended for you to have Spanish language skills. You can choose to teach English either in structured or unstructured way. If you are used to with structured teaching, you may go through with pre-designed English language course. Or, you may go with the need of your volunteering area. Using hands-on, play way and other teaching aid methods can make your teaching more interesting. You can also hold speech programs, debates, group discussions, film watching and other events that can help them improving their English. As you will be having good English, try to have two-way communication with children in English as more as you can. By interacting, children can even learn quickly. If you are a healthcare student and looking to grasp an international experience, then this program is the perfect match for you. You will have on-the-field experience working in local clinics and hospitals in Argentina. There are community based medical volunteering programs where you will be offering basic health checkups, awareness campaigns on sexual and reproductive health and rights (SRHRs), nutrition, sanitation, morbidity and other health related issues. As you will be directly working with the locals, you will get opportunity to understand and work in real scenario in Argentina. In order to apply for medical volunteer program, you must be at least 19 years old and have knowledge or experience in the related field. This project is meant only for medical professionals or students. You must also be able to speak in English. If not, you can join our Spanish speaking training in the volunteering spot, as well. In order to work in medical volunteer program, you must bear good physical and mental health, and as well with self-motivation and willingness to serve in this sector. Are you a dental care personnel or student looking to travel and volunteer abroad at the same time? Then this program right fits your interest. If you are a student, you will be working under the supervision of dentists or if you are a dentist, then you may work along with the dentists or lead a separate team in the community level. Volunteers will also be conducting oral hygiene classes and other awareness campaigns. Ability to communicate in Spanish will make you able to volunteer in Argentina. You may join the Spanish language training classes in the volunteering project area. You must be able to adjust and ready to accompany others in the work. It is always recommended for you to have insurance for covering any accidents, illness and third party liability. In working with the patients, your social skill will be supportive ability to ease your volunteering task. This program will avail you with career fostering experiences and adds up life-skills. As a volunteer, you will be working in alignment to local government and non-governmental organizations in building up the infrastructure. 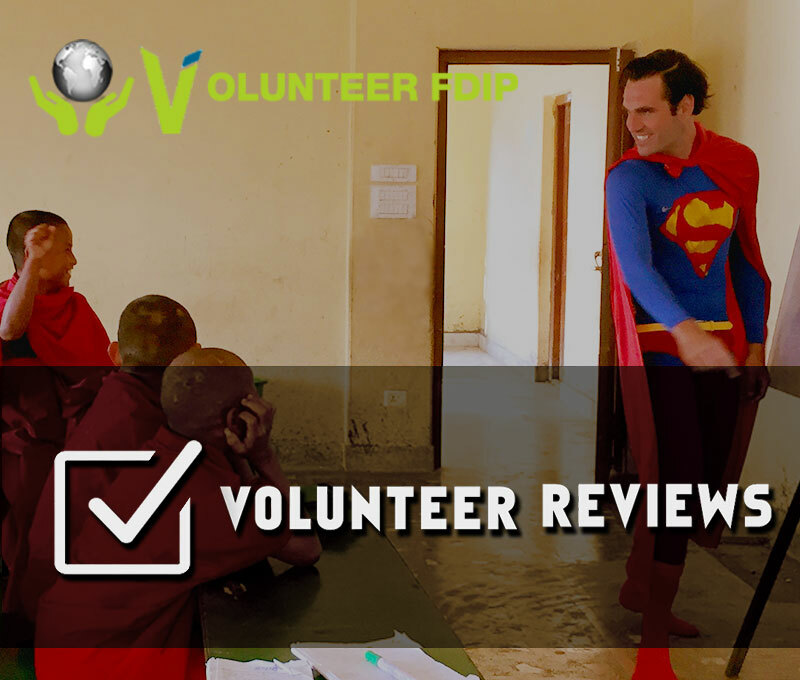 Volunteers will make the best utilization of all the resources and knowledge that they own in order to strengthen the local structure and acting as a pushing force for the local organization. To be a part of this program, you must be 18 years older or more and carry along insurance for accident, liability and health. You must have good knowledge of Spanish language, or you can take Spanish language incorporated within the program package. Volunteers are to be abide by the rules of the organization volunteering for. Your self-motivation, resource and aspiration to help others are the key points behind your successful volunteering experience. Your skill will be a support the successful completion of the projection. In this project, the volunteers will be helping disabled children and youths in their education, food, recreation and other activities. Volunteers as a part of the professional team will be serving such children in need. The team consists of psychologist, psychiatrist, physical trainer and a social worker. It is the combined effort that will bring up positivity and hope to the disabled ones in their healing, growth and fun. This project is a challenging one. You may roll down in tears seeing the condition of the needful ones, but at the same time you may also reward yourself for being able to serve them a little. You do not require any qualification to be a part of this program, except the Spanish language competency. Yes, you require a heart that feels the pain of others and the mind that intends to serve all the time. This humanness feeling will act as catalyst to you during your volunteering period. But, you must also act mature and respectful all the time.